Left 4 Dead meets Gears of War meets Halo and a few other popular video game properties in this cool short film. When it comes to fan films, it certainly seems that mash-ups and cross-overs are the thing to do given the madcap creative freedom unbound by license issues. We have earlier seen the well-received fan film G.I. Joe - Operation: Red Retrieval and its very own surprise cross-over. 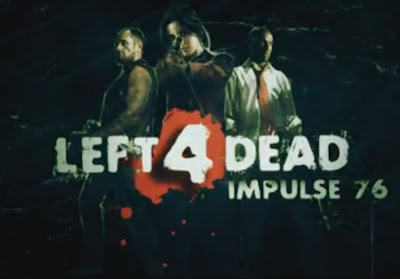 In Left 4 Dead: Impulse 76, a recently-released short film for Valve's popular survival horror video game series Left 4 Dead made by Airsoft GI and Northern Five Productions, expect an overdrive of awesome mash-ups and cross-overs. And here's a making-of clip of the short film.